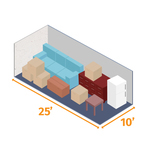 We have a variety of unit sizes to meet every storage need. Rent online, by Kiosk at our facility or give us a call at (518) 736-1257. *When renting you will be asked about enrolling in a voluntary tenant insurance policy to protect your items. If you choose not to enroll please check the box that says you have your own policy and you can bypass the policy number. Please give us a call if you have any questions at (518) 736-1257. Thanks! Manual Roll-Up door. 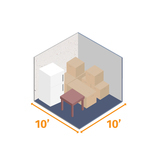 50 sq ft unit. Manual Roll-Up door. 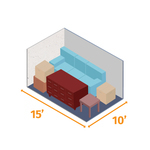 100 sq ft unit. Manual Roll-Up door. 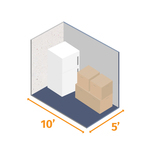 150 sq ft unit. Manual Roll-Up door. 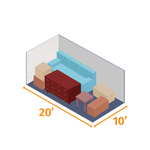 200 sq ft unit. Manual Roll-Up door. 250 sq ft unit. Manual Roll-Up door. 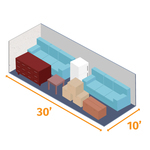 300 sq ft unit. Open Parking spaces up to 50 feet available.